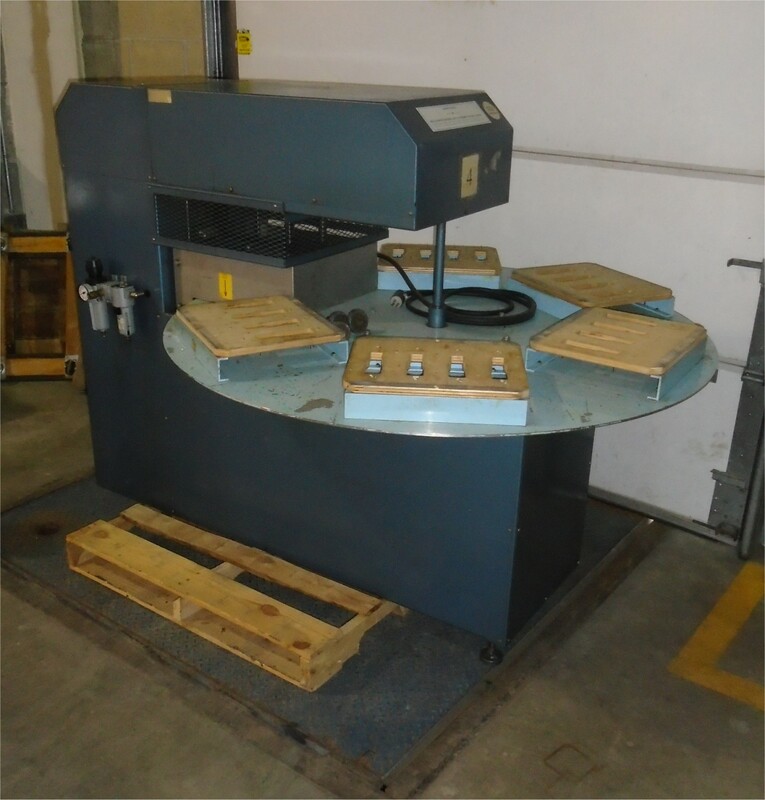 Used RBS Automatic Rotary Blister Machine Model TBS. Serial #20-0133. This is a 6 station Rotary Blister Machine with a 13” x 15” seal area. Features: controls; sealing plate, temperature control; main switch for Power On; 2-Position cycle start/stop system; push button for manual cycling; complete, automatic turntable, air required. Electrics: 110Volts, 15 amps. Delivery Time: Immediate.